If you’re a member of any photography groups on Facebook or even a real life photography community, you’ll almost certainly see someone display mediocre photos and announce with pride that they’re “straight out of camera” or that “no Photoshop was used”. They wear their refusal to edit their images as a badge of honor. In these days of too much Photoshop It's Time We Had a Word About Overdone HDR Photography... [Opinion] It's Time We Had a Word About Overdone HDR Photography... [Opinion] HDR stands for High Dynamic Range, and in photographic terms generally produces an image where the entire scene is balanced, and evenly exposed. Recently I’ve not been seeing much of this on the web. I’m... Read More , they stand tall and stick to pure photography… with their high-tech, automated digital cameras. 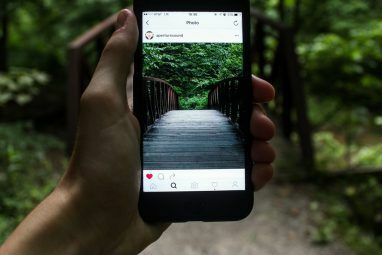 Editing your digital images is an important step 13 Tips to Quickly Improve Your Photos 13 Tips to Quickly Improve Your Photos Good photos and bad photos aren't determined by cameras but by photographers. Here are 13 tips that will quickly improve your photos. Read More in any good photo workflow. It’s something I’ve mentioned again and again 5 Simple Ways to Improve your Photography 5 Simple Ways to Improve your Photography While there are plenty of ways to improve your photos, the best way is to improve the process by which you take them. 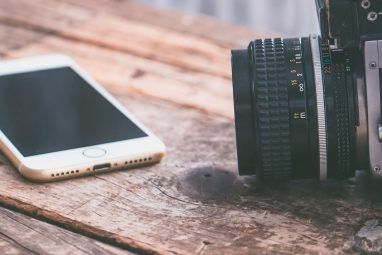 Here are some awesome tips from one of MakeUseOf's professional photographers. Read More . Taking pictures doesn’t end when you press the shutter button; it ends when the final image is printed out on your wall (or at least shared on your Facebook wall). Every step from taking your lens cap off to clicking upload is part of the process. Skipping any step is going to negatively affect how your images look or are perceived. Let’s have a look at why editing is so important. Digital cameras take ugly photos. As I mentioned when I discussed the importance of RAW files RAW Files: Why You Should Be Using Them for Your Photos RAW Files: Why You Should Be Using Them for Your Photos Almost every article featuring advice for people just learning photography stresses one thing: shoot RAW images. Here's why that's good advice. Read More , film uses different light-sensitive silver based compounds to capture light information while a digital camera uses a light-sensitive chip to convert light into an electrical signal. This means two things. First, digital images are already being edited by your camera. Whereas light intensity is physically recorded onto film, with digital photography it’s converted, passed through various gizmos, and saved as a binary file on an SD card. No digital image is unedited, it’s just a matter of whether you did the editing or not. Second, different films create different looks. Each film has specific characteristics. Kodak Portra 400 looks totally different to Ilford Delta 400. With digital cameras, the light information that’s recorded is tweaked by your camera so that a flat, neutral, data filled exposure is captured, not a pretty one. Although I’m saying you need to edit every image you take with a DSLR, I’m not saying you should ignore the capturing process. 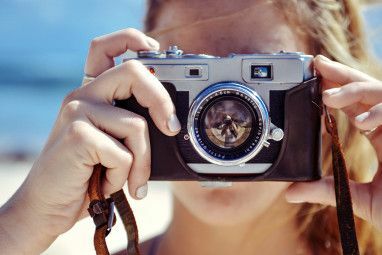 No amount of editing will ever fix a badly taken photo Key Photography Tips for Absolute Beginners Key Photography Tips for Absolute Beginners Our photography tips will help you take better photos, whether you're a beginner or have some practice already. Read More . You need to get as much right in-camera as possible. “I’ll fix it in post”, is something you should only say about problems that can only be fixed in post-production; never about something that can be fixed on location. The ideas that you need to capture good images on location and that you need to edit your images in post aren’t mutually exclusive. In each step, you have to focus on different elements of the image. When you’re actually shooting, you need to make sure to nail exposure, focus, framing, and how the subject appears. If you mess any of them up, the image will be hard to save. 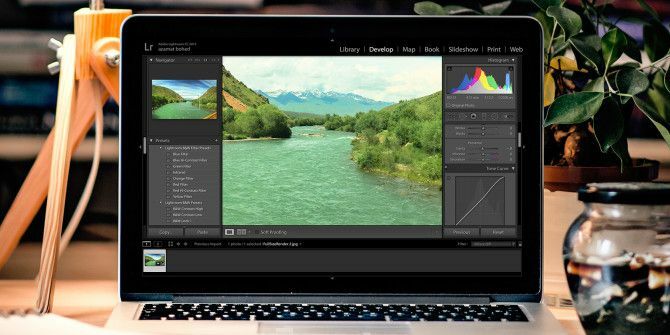 With exposure, you’re trying to get as much data as possible into the RAW file. If your image is too dark or too bright, you won’t have enough flexibility when you edit. If you want a dark and moody shot, cool, but shoot it right and darken it up in Photoshop. Focus cannot be fixed to any real degree in post. If an image is out of focus, there’s almost nothing you can do. No amount of sharpening will ever overcome the problem. Obviously, this means it’s super important to get it right in-camera. Framing and how your subject appears are similar to focus. You can’t add any data you accidentally crop out or change how your subject poses in Photoshop — or at least, you can’t do it quickly or easily. Make sure to get the overall physical appearance of the image as close to perfect as possible when you’re on location. In post-production you’re trying to complement the image you captured in-camera. You want to build on the work you’ve already done. Generally, you’re looking to do four things: enhance the image, fix problems, minimize distractions, and put your own stamp on things. When you’re shooting with film, what stock you uses greatly influences the look of the final image. Want beautiful skin tones? Kodak Portra 400 all day, every day. Want a grainy black and white shot? Ilford Delta 400 will deliver. Some film stocks amplify certain colors, some mute them all, others are high contrast and yet more are low contrast. There are dozens of film stocks each with specific circumstances where they work best. With digital photography, you have to recreate this in post processing. You can’t just push a button and have your camera give you the skin tones of Portra, you need to do that yourself in Photoshop or Lightroom. When film stock is being developed, it also undergoes post-processing. Dodging and burning, a technique for adding local contrast was regularly used by masters of photography like Ansel Adams to pull the viewers eyes to the important areas of the image. You can do the same in Photoshop. In the darkroom there were techniques for removing blemishes, combining images, and pretty much everything we do today in editing programs; it just took a lot longer. As well as enhancing what’s already in the image, Photoshop should also be used to fix problems and minimize distractions. Depending on what you’re shooting and for what purposes, these can range from lens distortion or a crooked horizon to small skin blemishes on a model or telephone wires across a landscape. Again, these were all problems that film photographers found ways to overcome; we’re just lucky that it’s much easier with Photoshop. Finally, post-processing lets you put your own stamp on your images. Photos look pretty much the same straight out of camera regardless of who shoots them. Even after a small bit of editing, they’ll likely look the same. That’s why there are millions of nearly identical shots of famous landmarks on Flickr. To add your own look to your images, and to make them stand together as a body of work, you need to edit them. Maybe your thing is a certain color scheme or an approach to local contrast or whatever, but it’ll be something you add in post-production. Just because I’m saying you need to edit your images, doesn’t mean I think you have to spend an hour on each one. Editing can be anything from 30 seconds playing around with Lightroom’s sliders until you’re happy to a few hours spent working on a Photoshop composite Create a Crazy Killer Doll Image with This Photoshop Tutorial Create a Crazy Killer Doll Image with This Photoshop Tutorial Want to create awesome composite images? We should you how with this easy-to-follow free Photoshop tutorial. Read More . How much editing you do is up to you — just do some. Do you edit your images? If not, why not? Let us know in the comments.